As a club we have been given two tickets to watch two world class men's teams go head to head at Lee Valley Hockey and Tennis Centre, Stratford on Saturday 4th May. The tickets are for GB v Spain ( Block 12 - Row C - Seats 77-78). Gates open at 10.30 with the match starting at 12. So if you fancy going to see some top international hockey, the club is asking for a donation of £45, for these two tickets. It will be first come first served! Please email longy40@hotmail.co.uk if you would like these tickets. 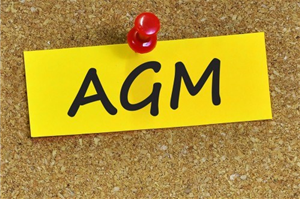 The AGM will be held on Monday 20 May, 7pm in the Clubhouse. Please make a note of the date. Come along to have your say in how the club is being run and support the volunteers that run the club on your behalf. All members and parents very welcome. Congratulations to our FEBRUARY 2019 winners of the NCHC Club and Ground Lottery. The club and ground lottery has been running since the club was founded in 1990, raising invaluable funds for the club and more recently being used as part funding towards the relaying of the sand pitch. You can join the lottery for as little as £1.50 per ticket per month and stand the chance of winning any of our monthly and annual prizes, three prizes each draw and a major prize which is drawn at our Annual Dinner Dance each year. To find out more check out our website page http://www.norwichcityhc.co.uk/lottery/ where you can sign up online in no time at all! Alternatively contact lottery@norwichcityhc.co.uk for more details. 8.00pm - 10.00pm M1/M2/M3 session as usual. M4 players welcome to attend. Wed 27 March - 6.30pm - 8.00pm L5/L6/L7/Dev Girls to combine and play matches. We have updated our website gallery with recent photos from the games on Saturday 23rd March, the final weekend for most teams as the 2018/2019 season draws to a close. Congratulations to the Norwich School U18 Boys team who beat Oakham School 4-0 yesterday to reach the semi-finals of the England Hockey Schools Competition. Norwich School went into the match knowing they would be up against tough opposition in Oakham. However, in front of a raucous home crowd, Norwich quickly started dominating to the extent that a 1-0 lead at half-time was flattering to Oakham. Norwich School lifted their game even further in the second half to win comfortably by a four goal margin and seal their place in the semi-finals at Lea Valley on 1 May as one of the top four school hockey teams in the country. Congratulations to all the boys and the coaches, with a special mention to the Norwich City boys who were part of yesterday's victorious team: Tom Bailey, George Harrad, Alex Merron, Ben Millett, Ben Nkrumah, Harry Paterson and Dan Phillips. There are a number of items of clothing waiting to be collected from Taverham. With the end of the season imminent it would be appreciated if these items could be collected on Saturday. The club's Annual Dinner and Dance has now been booked and will be held on Saturday 25th May 2019 at Dunston Hall (7.00pm). Payment can be made via the club's website, using PayPal or by cheque or by cash to either Ellie Brine or to her via your captain. Ordering tickets, for yourself or a group of people, plus selection of menu choices is now available via our website (http://www.norwichcityhc.co.uk/dinnerdance). Congratulations to our JANUARY 2019 winners of the NCHC Club and Ground Lottery. An early warning that the end of season Annual Dinner Dance and Presentation evening will be held on Saturday 25 May at Dunston Hall. Please put the date in your diaries. Further details will appear in due course. Last Sunday saw our under 10 and under 12 teams competing in the Norfolk In2Hockey Championships held at Pelicans Hockey club in some unseasonably good weather. Our Under 12 Boys just missed out on qualifying for the Regional Finals finishing third behind Dereham and Dragons. However, both the Under 10 Boys and Girls have qualified for the Regional Finals by finishing as Runners-Up to Dragons in both events. The Under 10 Girls were undefeated and conceded no goals during the tournament. Well done to both teams. Thanks to Exclusive Hockey, the club now have their own bespoke Chamrox chamois grips available to purchase for £6. These grips have the club name and logo printed along them and are ideal to show your allegiance to the club next time your stick needs a new grip. The grips are currently available to buy from the website, and can be found at the bottom of the club shop. 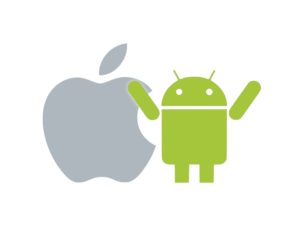 Not sure if you knew but some time ago the development team at Empresa Limited help us to create our own mobile "App" to provide easy access to our Norwich City HC website from your Apple or Android phones and tablets. 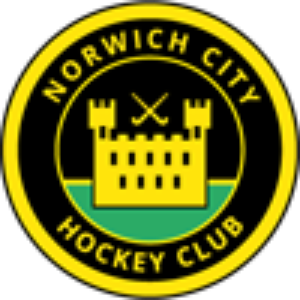 Just visit the appropriate store for your phone (Apple Store, Google Play, etc) and search for "Norwich City Hockey Club" and download and install our FREE App. Norwich City's u18 Boys reached the Quarter-Finals of the EH Tier 1 U18 Competition with a fine 3-2 win away at Bishop's Stortford today. City played with skill and determination to dominate a good Bishop's Stortford team, with well taken short corner goals from Ross Butler and Harry Paterson and an excellent solo goal from Dan Phillips. Having got ahead, City then closed out the game to ensure their place in the last eight in the country. City now travel away to Beeston HC next Sunday, with a place in the semi-finals to play for. Sport101 will be hosting an Academy Centre comprising a series of 10 coaching sessions on Wednesday evenings at Greshams School, 7.30pm - 9.00pm from 1 May 2019 to 3 July 2019. The cost for the 10 sessions is £190. 10 session programme which includes the new Academy Day where all centres get to train and play against each other at Abingdon Sports Centre. This will be held on the 23rd of June 2019 and is an exciting new addition to the programme. New coaching programme split into 3 distinct training blocks to ensure every athlete gets a comprehensive experience working on all aspects of the modern game. Goalkeeper training is proudly supported by Obo and will be delivered in partnership with Fortitude Goalkeeping. This will be the best goalkeeper coaching delivery in the country. The sessions are aimed at those players, including goalkeepers, of Player Pathway Academy Centre level or above aged 13 - 18. Pitches are frozen solid, no U10 and U12 coaching today. Congratulations to our DECEMBER 2018 winners of the NCHC Club and Ground Lottery. The following coaching courses/workshops are taking place in the East of England over the next few months. If you are interested in attending early booking is recommended before they become fully booked. Workshops and the Introduction to Coaching Course are open to anyone, though there are certain eligibility criteria for the Sessional Coach Course. England Hockey have now listed a number of coaching courses and workshops for 2019 including a number in the East Region. These are open to those wishing to gain a formal coaching qualification (Introduction to Coaching/Sessional Coach) and those wishing to enhance their knowledge with a specific focus (Goalkeeping/Goalscoring/Engaging games for Children). If you are interested in attending any of these courses/workshops I would encourage you to book as soon as possible as some are very popular. The link to the courses is below. Walking Hockey and Back To Hockey sessions recommence on Thursday 10 January 6.30pm - 8pm and will run until at least the end of March, probably running throught the summer. An article has appeared in todays EDP publicising the sessions. Please pass on details to any prospective attendees.